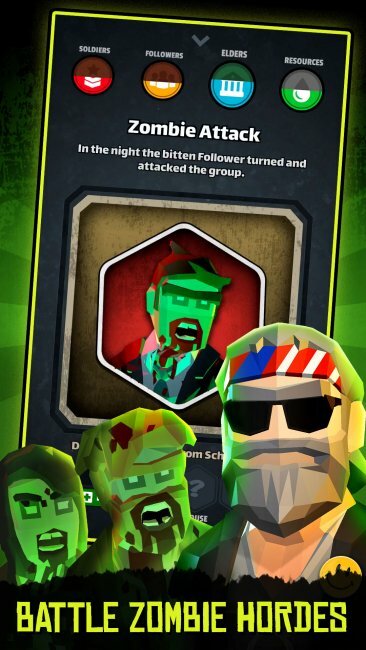 Alive 2 Survive is a swipe-to-survive game where you must make tough life or death decisions to keep your group alive for as long as possible in the zombie apocalypse. NOTE: I listed the game under puzzle, but it's really a card/story/adventure hybrid. The zombie apocalypse has begun! 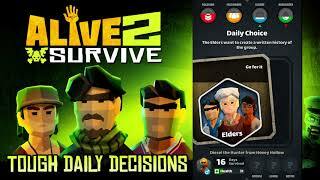 Swipe your way through life or death decisions to keep your group alive for as long as possible. • New Masked Viper character “The Captain” added to the game. The Captain wants your group to pay an ongoing tribute to the Masked Vipers in the form of supplies, people, and other “favors”. Do you cave to his demands or fight back? The choice is yours to live (or die) with! • Reworked the UI based upon player feedback and in preparation for some new features that will be added in the coming weeks! • More text corrections and other minor fixes based upon super beta player feedback.